GTA Online’s newest update, After Hours, is all about partying the night away in new player-owned nightclubs. 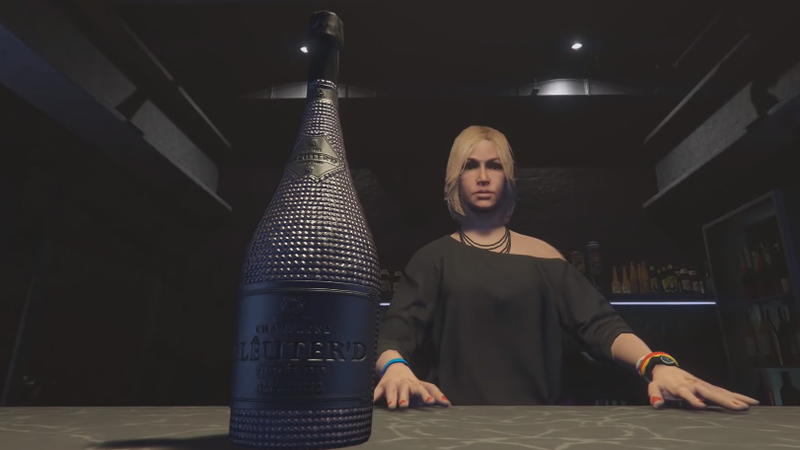 Like real world nightclubs, players in GTA Online can order various drinks at the bar. One specific drink is becoming popular due to its tendency to knock players out in one shot and have them wake up somewhere else in the world. By doing this, some lucky players are walking away with a fashionable Easter egg. In the After Hours update, players can buy and run their own nightclub. These clubs come complete with dance floors, DJs, bouncers, VIP areas and, of course, alcohol. Getting drunk in GTA Online isn’t a new activity. Since launch players could drink a few beers and start fumbling around or even have their character pass out. 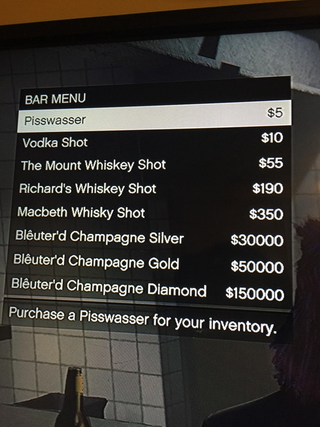 A new drink added in After Hours, the Macbeth Whiskey shot, is unlike any drink previously found in the game. One shot of Macbeth Whiskey costs $350, unless you own the club, in which case you can drink for free. Take a shot of this new whiskey and your character will quickly blackout. After doing this players are waking up in various locations around GTA V.
The most common spot is in the bathrooms of the club. But other players have woken up under an overpass, on top of a billboard, on a dam, inside a hedge maze and even almost naked on top of Mount Chiliad. Some players are immediately heading back to the club to black out again, not just to find out what other spots they might wake up in, but to get their hands on a new Easter egg. After drinking the Macbeth shot, some lucky players are waking up on top of the Epsilon building in Los Santos, wearing a new exclusive shirt. The Epsilon Program is a GTA parody of Scientology. The shirt is light blue and has the word “Kifflom” in white on it, a reference to a popular saying from the church’s website.The shirt is a direct recreation of an actual t-shirt Rockstar sells on their website. Some players are reporting that they’ve tried for over an hour and still don’t have the shirt. As of now, nobody is sure if there’s a way to trigger the Easter egg or if it is just random. If you want to get your hands on this new shirt, you just need to head to the nearest club in Los Santos, order a shot of Macbeth Whiskey and see where you end up. It might take a few dozen shots to finally get the shirt, so apologize to your liver afterwards.